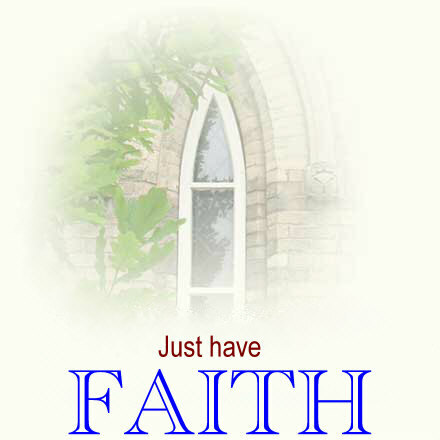 Welcome to the Faith home page! Jesus taught LOVE and KINDNESS, not HATERED!!! The purpose of this page is to be an inspiration to some one and to show every one what being a true Christian is all about! Please don't think that this page is like a lot of other religious pages that you may have seen because it's not!!! Check it out and see what we are talking about!! We have decided to include a devotional section to the faith page. This devotional will include a verse of the day and a monthly devotional including a verse of scripture, a thought for the month, and finally our monthly prayer for you. 2010 Our current 2010 devotions. 2009 An index of all of our 2009 devotions. 2008 An index of all of our 2008 devotions. 2007 An index of all of our 2007 devotions. Bible on line This page contains the entire King James version of the Bible. It has a contents page were you can select the book you want to read. It also has a listing of popular scriptures that you can jump to. We also have a downloadable version in either plain text or rich text format. Audio visual Bible Go to this page to find out more about a program that allows you to listen to the Bible being read while reading it yourself. These are all original short stories written by me. They are mostly fiction but there are a few that are based on real things that have happened to me in the past. They all bring out points about life as I have seen it. Some of them have happy endings while some of them are sad but they all come from the heart and I hope that someone who reads them will be touched by them. Please feel free to let me know what you think. This section contains articles written about a variety of subjects. It's purpose is not to tell you what is right or wrong but to give you a different point of view. Articles that are written in a way that is not critical or judgmental. To let you see what I feel is the true Christian view. I have completed my first Christmas CD titled Heavenly peace. The songs were written and recorded by me in hopes that someone will hear them and realize the true meaning of Christmas. It is my hope that they will help bring someone to Christ this Christmas and be a blessing to others for many years to come! Click this link to go to a page where you can listen to and/or download all of the songs on this CD. This page contains questions that I have been asked by the teens at my church. The answers given are Bible based and have been prayed over before being posted. It is our hope that these questions may help answer some of the questions that teens have or may help parents understand their teens better. Don't forget to check out my home page. Who knows what you may find there! This page contains links to pages that I enjoy and/or I believe will be helpful to you. Don't forget to check it out! Testimonies? Questions? Comments? I'd love to hear them! Please feel free to contact me at: faith @ marcasoft.com.